Taking a step towards equipping army soldiers with modern rifles, Prime Minister Narendra Modi inaugurated an Indo-Russian joint venture (JV) on Sunday that will manufacture the new Kalashnikov AK-203 rifle in Korwa, near Amethi. 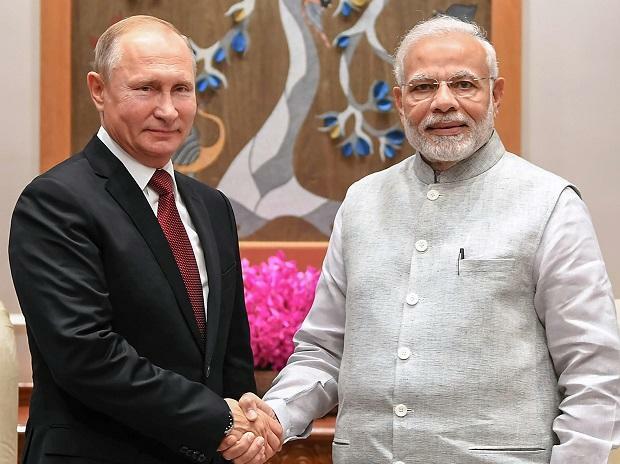 In the third week of February, New Delhi and Moscow signed an inter-governmental agreement (IGA) to build the AK-203 in India. A contract is still to be signed, but the first of an estimated 750,000 AK-203 rifles are expected to roll off the production line in 2019. “During my official visit to India last October… Mr Modi and I reached the agreement on setting up Kalashnikov production in this country. The IGA was prepared and signed in the shortest time”, said Russian president, Vladimir Putin, in a message that was read out during the signing ceremony. The JV incorporates the Ordnance Factory Board (OFB), which has a 50.5 per cent stake; Kalashnikov, with a 42 per cent stake, and Russia’s state-owned export agency, Rosobornoexport, owning the remaining 7.5 per cent. The AK-203, along with the US-origin Sig Sauer assault rifle, will replace the indigenous INSAS rifles and AK-47 rifles that Indian Army soldiers currently carry. Last month, the defence ministry cleared the procurement of 72,400 SIG716-G2 assault rifles from US manufacturer, Sig Sauer. That fast-track purchase is estimated to be worth Rs 700 crore. The cost of the AK-203, which will include the cost of technology transfer and setting up manufacturing facilities in Ordnance Factory, Korwa, will be known only after the contract is negotiated. In October 2017, the Army kicked off the acquisition of small arms (rifles, carbines and light machine guns) for its soldiers. Army chief, General Bipin Rawat, has decided to cut costs by equipping only frontline infantry soldiers with the most modern assault rifles, with advanced optics and sighting systems. The remaining soldiers will carry cheaper, less capable rifles.